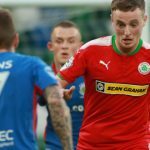 Rory Donnelly’s hat-trick wasn’t enough to prevent 10-man Cliftonville from slumping to a 6-4 defeat in a madcap Danske Bank Premiership fixture with Institute. Trailing to Michael McCrudden’s early strike, the Reds levelled through Donnelly before McCrudden and Joe McCready put Stute 3-1 up at the break. 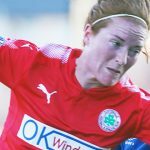 Cliftonville came out all guns blazing at the start of the second-half and had dragged themselves level within seven minutes courtesy of headers from Donnelly and Joe Gormley. With the momentum firmly with them, the Reds were presented with a glorious opportunity to edge in front when goalkeeper Martin Gallagher’s foul on Donnelly earned the visitors a penalty. That, however, was where things began to unravel. 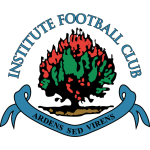 For not only was Donnelly’s spot-kick saved, Stute raced straight down the pitch and earned a penalty of their own when Ronan Doherty was felled by Brian Neeson; the Cliftonville keeper receiving a straight red card for his misdemeanour. McCrudden beat Jamie Harney with his strike to make it 4-3 to the hosts, who extended their advantage further when McCready and McCrudden netted within minutes of one another. 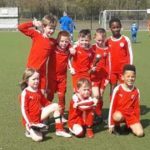 Cliftonville replied when Donnelly completed his treble with a well-taken effort but, having by now patched the gaps that had opened at the back, there were to be no further dramatics in a hectic end-to-end battle. 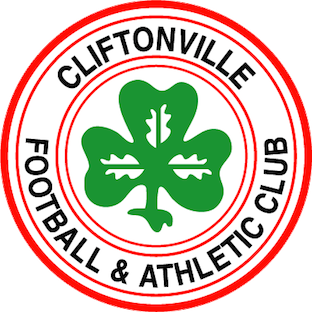 Cliftonville: Neeson, Ives, Breen, Harney, C Curran, R Curran, Garrett, R Donnelly, McDonald, Bagnall, Gormley. Subs: Harkin, McConnell, Maguire, McMenamin, A Donnelly, Casey, McNulty (R Curran, 73 mins).